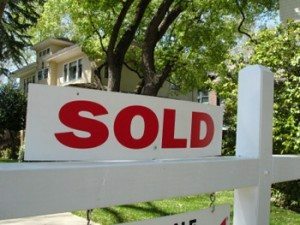 Selling a home can be daunting; even simple questions can become overwhelming and, at times, complications arise. A knowledgeable real estate professional can make the difference between a bumpy ride and smooth sailing. When you decide to sell your home, choose Bowen Agency Realtors to assist you with every step along the way, from looking for local contractors to make improvements in the house to search the best tenants for a successful sale. We have been serving clients in the greater Lewisburg-Selinsgrove- Sunbury area since 1971. Pricing your home correctly is the critical component of a sale. We analyze several factors to determine the best price. We do a comparative marketing analysis (CMA) to compare prices of similar homes that are either currently on the market or have been recently sold. The CMA yields information about the specific local area, in addition to the market throughout the entire Central Susquehanna Valley. Our evaluation doesn’t end with a CMA. We also consider the particulars of your specific location. We know the neighborhoods that are popular, where houses sell quickly. We assess the impact of potential zoning changes, development issues, tax increases and changes in municipal services. Bowen Agency Realtors provides a complete picture of all of the factors that may ultimately affect the selling price of your home. Marketing means more than putting a “For Sale” sign in the front yard. We will aggressively market your property, placing your listing in all the places where qualified buyers are looking. We use a variety of marketing media, including the Multi Listing Service, a national relocation listing service, Internet listings, local newspapers, and local real estate publications. A successful marketing effort will bring buyers to your door. A good first impression will keep them there. Small details can have a big effect on your home’s appeal to potential buyers. Follow these tips from Bowen Agency Realtors to prepare and stage your property so that you may show it to its full advantage. 1. Consider the curb appeal. The outside of your home is the first thing a buyer sees and often leaves the most lasting impression. Keep the lawn and landscaping nicely trimmed. Empty the yard of debris, toys, bicycles and the like. Replace or paint a shabby front door. Remove snow and ice from walkways and steps. 2. Remove Clutter. Show the interior of your home to its fullest advantage by removing all unnecessary items. Extra furniture, crowded countertops and overflowing bookshelves will make a room look small. Removing extra items from attics, basements and utility rooms will enhance the size of storage areas. 3. Repairs make a big difference. Simple things, such as leaky faucets and loose door knobs, should be fixed before you list your home. Minor flaws detract from the value of your home and give the buyer reason to question how well you have maintained your home over the years. 4. Keep things clean. Thoroughly clean carpets, floors, windows and appliances. Make sure the bathroom sparkles by removing mold and mildew and repairing caulking around the tub. 5. Fumigation. If you live in Arizona or Phoenix, you are well aware of the possibility of having a scorpion infestation during the hot summers. Make sure to check out services from scorpion pest control phoenix, to prevent any disturbing creature from being seen by a potential buyer. 6. Make cosmetic repairs and updates. Cosmetic updates enhance both value and buyer interest. Update worn and faded wall paper and floor coverings. Replace bold or trendy wall colors with appealing neutral tones. If you have to buy lots of material there’s an excellent online store where you can find every building material you might need, with that page you will get excellent affordable prices and quality. 7. Moving day. When you are getting ready the property for sale or if you are moving to the new space, you will be needing a professionals help like removals Sydney, with the convenience of 24 hour a day 7 day a week online booking, you can be assured to get the moving time you require at competitive prices. On your moving day removalists will provide moving boxes, shrink wrap and other packaging materials, and a team of professional packers will help to make the job easy, also providing secure storage solutions for furniture you don’t intend on moving home. 1. Avoid being present during a showing. A buyer will be less hurried and more relaxed if the seller is not following him around. The goal is to encourage the buyer to feel comfortable while looking about and asking questions. 2. Create a pleasant aroma. Offensive smells will not keep a buyer in your home for very long. Eliminate pet odors by frequently cleaning bedding, dishes and litter boxes. If possible, remove pets entirely from your home before a showing. Avoid strong cooking odors. Keep windows open for fresh air and place potpourri or fresh flowers throughout. Bake a batch of cookies to create a warm and inviting aroma. 3. Keep the noise to a minimum. Turn off the television. Light classical or easy listening music provides a nice background, but set the volume low. The goal is to encourage easy conversation between the realtor and the buyer. 4. Provide maintenance records. Have copies of utility bills, such as heating, air conditioning, a water backup from customwater.com, and sewage, available. Be prepared for questions with copies of major home improvement or repair bills. 5. Rely on your Bowen Agency Realtor professional. Our real estate sales agents have the skills and experience to negotiate the best outcome. Once an offer is made, we will give you our honest evaluation and all of the information you need to make a sound decision. We will never pressure you into accepting an offer you are not comfortable with. Upon acceptance of the offer, we will assist you with all of the closing details to ensure a smooth and efficient transaction. Bowen Agency Realtors enjoys a reputation as one of the finest real estate agencies in the Susquehanna Valley. Our agents will work hard to earn your trust and to make sure you get the best price for your home in the shortest possible time.